R.S. 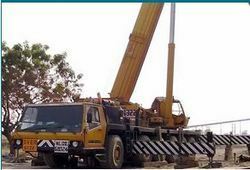 Wind Tech Engineers Private Limited - Service Provider of operation and maintenance, hydraulic & e-lab & hydraulic mobile crane since 1996 in Nagercoil, Tamil Nadu. We operate & maintain Wind Turbo Generators of different makes and sizes on Annual Contract Basis or on 'On-Call' basis. We carry out Periodical Preventive Maintenance (Monthly, Quarterly, Half-yearly and Annual) on Tower, Blades & Nacelle of Wind Turbo Generators in accordance with the manufacturer's recommendations. Apart from these works, we maintain the D.P. 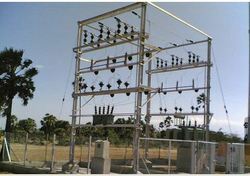 Structure & Lines associated with the Wind Turbines and fulfill all the statutory requirements of Electricity Board and Electrical Inspectorate. We assess the condition of the machines periodically and suggest ways and means to avert frequent break downs due to aging or other reasons and also improve its performance. With their concurrence we take up refurbishment works. 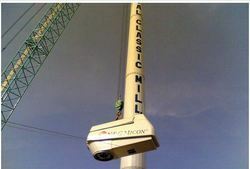 Wind Turbine operation is monitored and all the generation Data, Maintenance Particulars and Machine History are recorded in the MIS system and reported to the clients through our Web-Site. Some customers approach us to shift their machines which perform poorly due to low wind-potential, to an alternate location with good wind potential. We also undertake such shifting works. This is where we check-up the healthiness of the Hydraulic Power Packs, service them and calibrate them by means of special purpose test-kits. 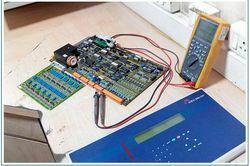 We have a well equipped Electronic Laboratory, where we service Electronic Control Modules and Instruments. The rigged-up Thyristor Trigger Test Module helps us check the healthiness of the PCBs/SCRs in moments. We maintain reserve stock of PCBs & essential spares and help our customers reduce the down time of their machines and the consequent generation loss . 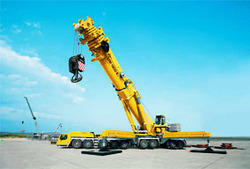 The KRUPP 160-ton crane is a diesel-powered, hydraulically operated mobile crane. 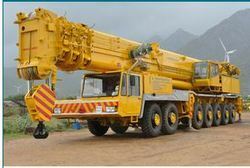 Its maximum load capacity is 80 tons, depending on boom position. 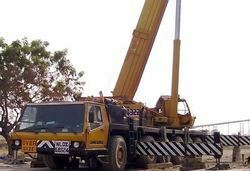 The six-axle mobile crane Krupp KMK- 6160 in vertical position, has the 3-section, 46.1 main telescopic boom. Main boom can be extended with the additional attachment of 20 mtrs fly jib. The 36 mtrs long Luffing Boom can be installed to increase the working heightupto 82 meters. 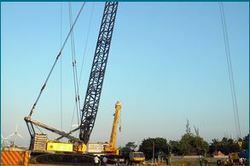 The Liebherr LR 1400 crawler crane is a diesel-powered, assisted with hydraulically and electronically. Its maximum load capacity is 400 tons. 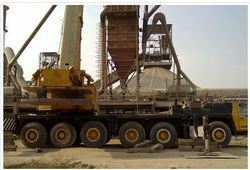 The main functional features are maximum lifting capacity, optimum load capacity values across the entire working range and multifunctional luffing systems. 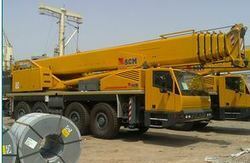 This crane can be used to Erect and De-erect the WTG's of different height, upto 112 requirement. 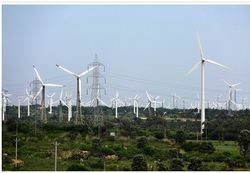 It has been used in installation of Suzlon 2MW, GE 1.6 MW &Vestas 1.65 MW. 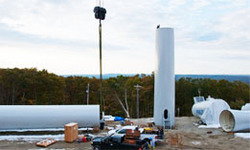 Being a front-runner in WTG Installation services, RS Windtech Engineers (P) Ltd., undertakes projects on turnkey basis and offers the following services and expertise towards setting up Wind Farms. We are in possession of a set of 6 (330T, 280T, 160T, 80T, 65T & 12T) Cranes. All of them are tyre-mounted mobile cranes which could reach the work spot quickly and help reducing the down time of the machines. 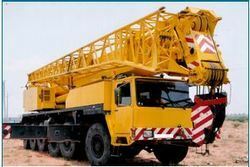 The "330T crane "is of “DEMAG” make, HC 810 model, Hydraulic & Telescopic type of 330 T crane, with Fixed-Jib and Luffing-Fly-Jib Facilities. 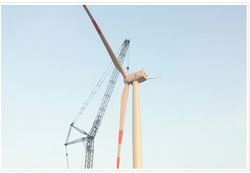 By means of this crane, we can handle WTGs of capacity up to 750 KW. 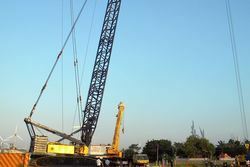 For meeting any eventuality or additional requirements of Crane, we have tie-up arrangements with other crane providers also. We are in possession of a set of 8 mobile Cranes. All of them can reach the work spot quickly, as they are all tyre-mounted. By means of these cranes and our tie – up with other crane operators, we can handle WTGs of capacity up to 1.65 Mw very easily. We are also in the process of acquiring more higher capacity cranes in our staple. Our workshop is provided with an Electrically operated Over-head Traveling Crane, which helps us handle the whole Nacelle very easily. We service all the internals of the Nacelle including the Gear-Box in our workshop. We have fabricated special purpose Jigs / Presses / Pullers etc for assembling and dissembling, Bearings, Gear Boxes, etc., which make the job easier and less time-consuming. 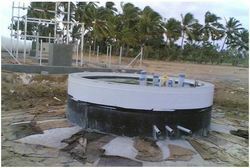 We have tie-up arrangement with M/s. 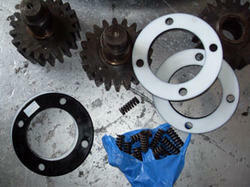 Premium Energy Transmission Limited, Pune, (well known by their earlier name GREAVES) for repair works on Gear Boxes. 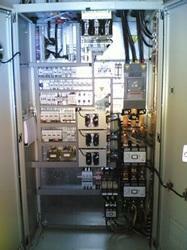 We are proud to say that we can and we have repaired Gear Boxes of even 750 KW machines. However, in order to handle the whole Nacelles of MW Class Turbines, we are now constructing a larger workshop.